A Busy Blogging Day! BLOG HOP, COPIC COLOUR CHALLENGE and BELLI CHALLENGE DAY! Please check out the whole post! 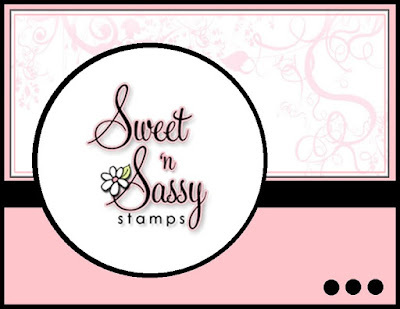 For starters, we will start with the BLOG HOP for Sweet 'n Sassy Stamps! This month we are celebrating with a KICK OFF TO SUMMER! 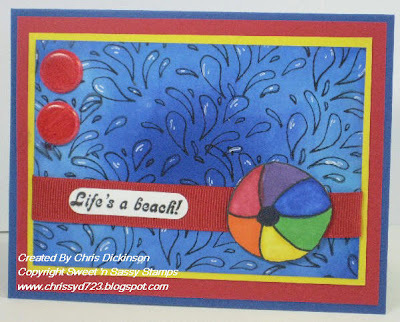 So I chose to use Sweet 'n Sassy Stamps Summer Fun and Summer Sentiments stamp sets - to see several of the summer sets, here is a direct link to the Summer section on Sweet 'n Sassy Stamps website. You will definitely want to check out the other Design Team projects so be sure to HOP on over to the blogs listed below! 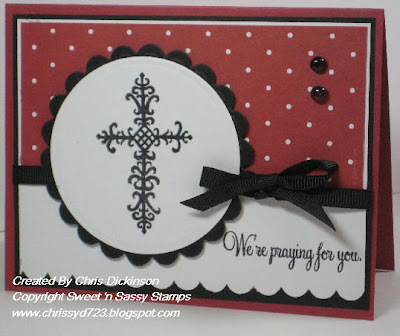 Have you been over to the Christian Paper Craft Magazine website yet? I am hosting the Wednesday NEW TO YOU Challenge there. 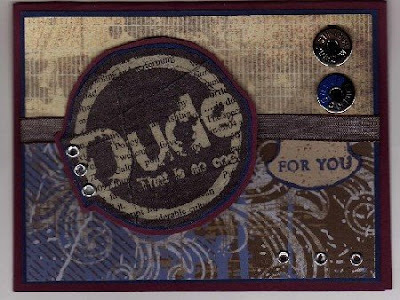 This card uses the BOUNCING BRAYER technique. The link for the challenges is HERE. When you are done looking over this post, check out the other Design Team projects! This week's Belli Challenge is to use a Jumbo Brads or Jumbo Eyelets...if you do not have those, be sure to use ANY hardware that you have laying around. You will want to check out the Belli Challenge Teams work! Looking at their work ALWAYS brings a smile to my face and inspires me! Be sure to check out the challenge teams work - they always WOW me! Another Stellar week of cards for you to see! Thank you so much for stopping by! 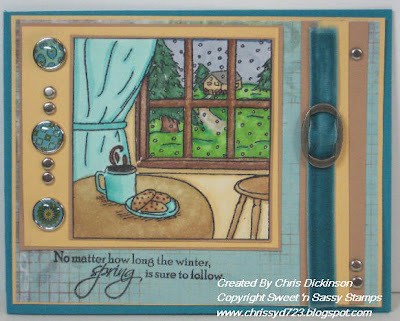 Be sure to HOP on over to all of the FABULOUS Sweet 'n Sassy Stamps Design teams blogs! Have a great day! This weekend of silence and meditation on God's Word, God revealed some things to me. I have been living in some rebellion from hardening my heart in this particular situation - thinking in my head, "This circumstance is NOT going to change anyways (I was believing the enemies lies!) so WHY should I continue to do things His way? I am just going to do things MY way because I want to protect my heart from anymore hurt. These is a river whose streams make glad the city of God. The holy place where the Most High dwells. God is within her, she will NOT fall; God will help her at the break of day! Psalm 139, NKJV For the Chief Musician. A Psalm of David. 1 O LORD, You have searched me and known me. 2 You know my sitting down and my rising up; You understand my thought afar off. 3 You comprehend my path and my lying down, And are acquainted with all my ways. 4 For there is not a word on my tongue, But behold, O LORD, You know it altogether. 5 You have hedged me behind and before, and laid Your hand upon me. 6 Such knowledge is too wonderful for me; It is high, I cannot attain it. 7 Where can I go from Your Spirit? Or where can I flee from Your presence? 8 If I ascend into heaven, You are there; If I make my bed in hell, behold, You are there. 9 If I take the wings of the morning, And dwell in the uttermost parts of the sea, 10 Even there Your hand shall lead me, And Your right hand shall hold me. 11 If I say, “Surely the darkness shall fall on me,” Even the night shall be light about me; 12 Indeed, the darkness shall not hide from You, But the night shines as the day; The darkness and the light are both alike to You. The e-mail comes from the ministry of Jim Corbett, From Our Father's Heart, April 11, 2009 was the date of the e-mail. You can recieve these e-mails from HERE. I do not receive these e-mails on a regular bases, so do not know the doctrinal beliefs of this organization. I choose to bless you. I choose to invest in you, because I know who you ar ebecoming. You are valuable, not for what you do, but valuable because My (God's) value has been placed upon you. Walk with Me through the rest of your life. We will overcome everything that comes to hinder you and I will teach you what you need to learn. You will make it. That is my promise. I am with you. Amen, is all I can say. Thank you, Lord for your never ending faithfulness and mercy to me. I pray that this blesses your heart today and that the Lord will minister to your heart as He ministered to mine. Happy Monday! I hope this finds you very refreshed after this weekend. It rained and rained here in Southeastern Wisconsin! My weekend ended up being quite busy. This stamp set features an adorable image of a Baby be Blessed handmade doll. Give a Blessing is a Baby be Blessed charity that was born out of the desire to reach out to children and families going through a difficult time. 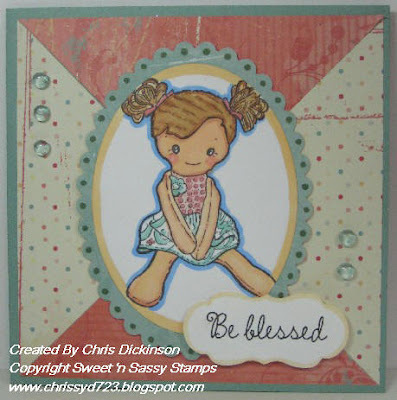 For each Be Blessed stamp set sold, Sweet 'n Sassy Stamps will donate $2 to this worthwhile cause. I hope you have a FABULOUS day!!! Hello! Happy Saturday! This weekend we are starting something new!!! Sweet 'n Sassy will no longer be doing the Monday Challenges, we are doing a bit of changing to SKETCH SATURDAY at the Sweet Stop Sketches Blog! Here is our Sketch for this week. Check out the Sweet Stop Blog for MORE inspiration and details! This weekend and past week has been so busy. My children have kept me hopping with school activities and things. Today was my daughters Prom and she looked so beautiful. 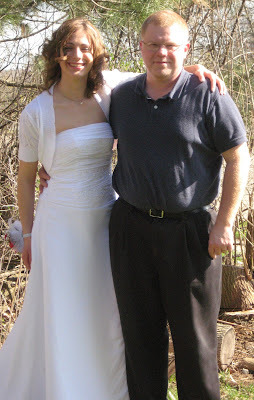 Below is a picture of her and her dad. I will share more pictures of her and her date soon. Due to those time restraints, my card is very simple! Have a wonderful weekend. I am gone for the day again for a Care Ministry Retreat. We will have a day of silence will the Lord. I look so forward to these days! No phone, no people ( we will each have our own rooms), no electronics - just our Bible, ourselves and the Lord to do His work within my Spirit. I am so excited for this day!!! I hope to have a project to share for you on Sunday. Hello! I have discovered a new forum and I am so excited because they asked me to be a host for one of the weekly challenges. 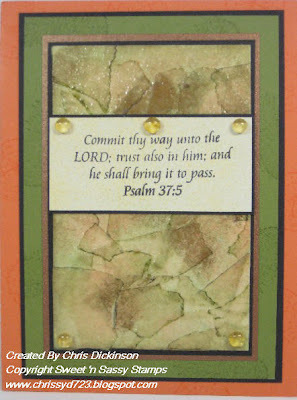 Have you heard of the Christian Paper Crafts Community? They are working on a new forum but it is currently in the NING community. I just love this community. What better place than to have a community of friends who love the LORD and share a passion of paper crafting!? Praise GOD! If you have not heard of this and would like to join, let me know and I will send you an invitation. 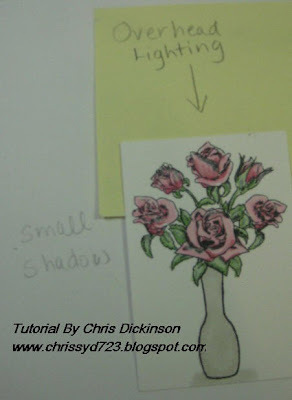 Every Tuesday, Christian Paper Crafts will hold a Tuesday Sketch. This is their sketch for this past week, CPCM-ST01 is the code for any forums you will use if you participate! In addition to doing the sketch challenge, I used the technique Dragged Madras. This is a technique that was shared in the May Technique Junkies newsletter. I am still ecstatic about being a part of their Design Team! This week, my stamping time seems to be minimal due to Spring School activities. Easter Lily for the font. This week I have been working on some Bridal Shower invitations for a friend. I will share those with you tomorrow. I am tickled pink with how they turned out! Absolutely gorgeous! Today, we are off to the Milwaukee County Zoo for some Science classes! My children LOVE these classes! I hope you have a blessed day!!! Happy Monday! I hope this finds you well rested after your weekend. We had such a busy weekend. This card, was one I made quite some time ago for my sister, but then failed to send it to her. This week's challenge is to use Scripture some where on your card, on the outside or the inside - YOU CHOOSE! 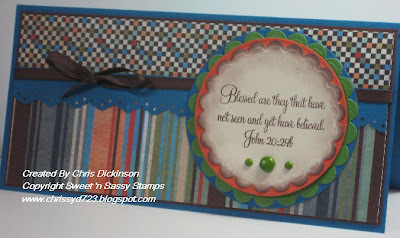 I used Sweet 'n Sassy Stamps Trust in the Lord stamp set. It is always so encouraging!!! This technique, I did ages ago and can not recall what it is called. It looks very cool! I know this isn't my BEST card, but I had such a busy weekend, I didn't have a lot of time to stamp. 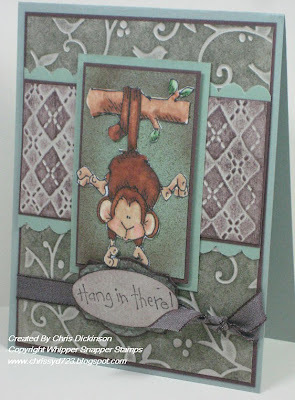 BLOGGERS CHALLENGE #95 - HANG IN THERE! HAPPY FRIDAY! 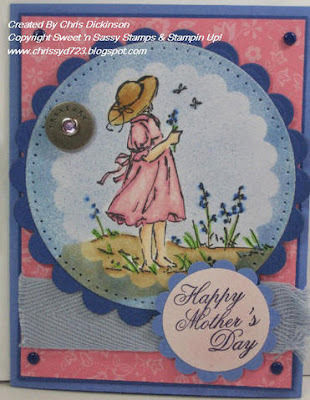 My weekend looks like it may be quite the crazy one, but I am hoping to do some stamping on Sunday. 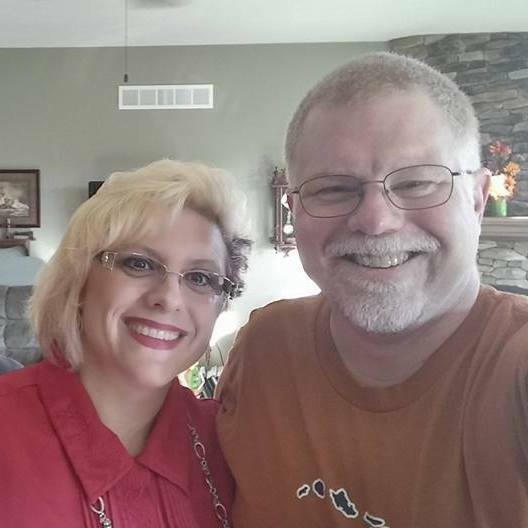 We are celebrating my brother-in-laws 50th birthday, so it will be FUN! I was monkeying around and decided to use my brayer. I put the Cuddlebug folders through the Big Shot, then used my brayer over the lifted area with the ink pads. I colored the monkey from Whipper Snapper (isn't he cute?) with my Copics.... Be sure to click on the icon for the Bloggers Challenge on the RIGHT HAND side of the screen to see everyone elses WONDERFUL work! Good Day! Life seems to be on the upswing again with a new flurry of busyness for me. My three younger children have all decided to need MORE play dates, so that has required more arranging on my part and direction of play, etc. Not to mention more noise in my home with more children here! 6 children under the age of 9 can make a lot of noise! LOL I have to say though, it brings great joy to my heart to hear their laughter. On a stamping note, today has a whole flurry of activity for me here! Not only is it Belli Challenge Day and Colour Copic Day, but it is also ROUND UP Day for Sweet 'n Sassy Stamps. Instead of creating three cards, I decided to try and make things a tad but simpler by combining the Belli Challenge and my Round Up card. 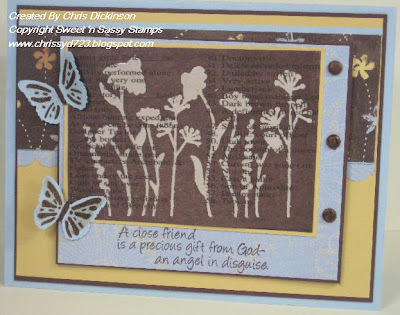 This week's Belli Challenge is to use DRY EMBOSSING on your project. It can be any type of Dry Embossing you wish - from using a Cuddle bug folder, using a light table and a stencil and the empressor... You get to choose! I used Technique Junkies technique from the April issue called Chalk Lines. It is so easy and FUN! 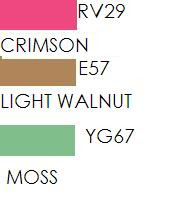 These are your colors for the week! 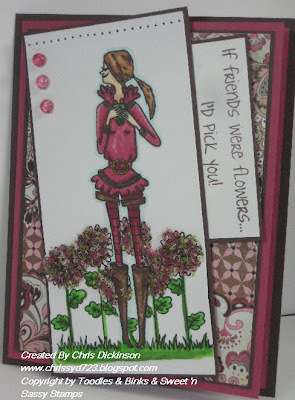 For this project, I used my Love Blooms stamp set. I just recieved the attachment for my Air Brushing kit for my Copics and my sweet, sweet husband got it all set up for me with an Air Tank instead of me having to purchase an air compressor. I had fun playing with it - I "air brushed" the circle and my ribbon, I still have LOTS of practice and perfecting to do with the air brushing! SPRING BREAK with a SCHOOL THEME! Good Day! While I was in Pennsylvania last month, Korin and I went to a Scrapbook Retreat. Since I was travelling I hadn't packed any of my normal things, so I used some stamped images she had. I colored this using Copics. I love this image but do not know which company drew it. I am thinking it may have been Stampabilities. While it is Spring Break here for most schools, we are still doing some school. I have been feeling very unmotivated to get my personal work done. I am ready for some SUNSHINE!!! So if you have some in your corner of the world, would you please send it my way? Today is Tuesday Tutorial day, but I decided to take the day off. If you have something you want to learn about, let me know! Hello! I hope you had a wonderful weekend. I had cards to post, but ended up taking the weekend off from blogging to play some games and do some activities with my children and family. We had a great weekend together. 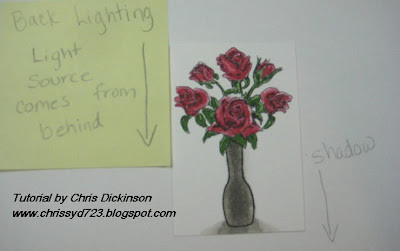 This week's challenge is to make a THINKING OF YOU card. While the sentiment on this card, isn't exactly THINKING OF YOU - the sentiment would be encouraging. We would LOVE to have you participate in the challenge. 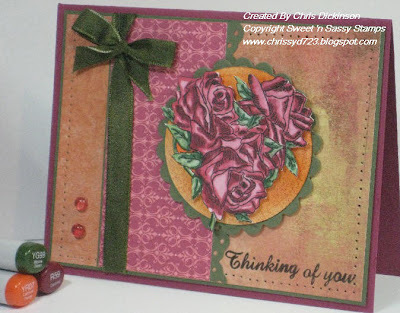 Create a THINKING OF YOU card and link up to Challenge #20 on the Sweet 'n Sassy Stamps Blog. Be sure to check out the other Design Team projects! Hello! 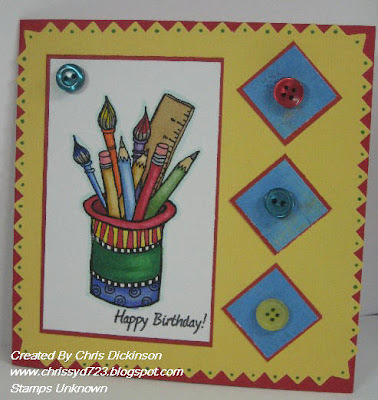 This Friday the Bloggers Challenge is to create a card using the Technique of our choice. I used Technique Junkies Newsprint Reveal. I was the Guest Designer in April, and this was one of the cards I submitted. So I am taking the easy way out today! As a Christian, today is a day of remembrance of Good Friday. The day our Saviour died on the cross for our sins..
We all are sinners. Everyone has done things that displease a Holy God. No one can live up to His standards. He says no sin can enter heaven. Something must be done to get rid of your sin. Believe Jesus died on the cross for you. God loves you and wants you to become His child. He loves you so much that He sent His Son, Jesus, to shed His blood to save you from your sins. He took your place on the cross, and suffered the punishment you deserve. Believe that He died for you, was buried, and rose again on the third day. Have a blessed weekend! Thank you for stopping by! Hello! The past two days, I have been feeling a bit under the weather. My stomach is crampy and not feeling quite right and I have a sinus headache. ICK. Yesterday was far worse than today, I woke up, grabbed a cup of coffee, had 2 sips only to get so nauseas I ended up back in bed. By lunchtime, I felt better and was able to function again. Today, I am able to function, but trying to take it easy. This morning, while enjoying a cup of coffee I was reading my e-mails and recieved one from the Technique Junkies Newsletter. Remember, I am their Guest Designer this month!? This is my exciting news... I have been invited to join their Design Team!!! I will start in June! This card is one I made yesterday. I used Technique Junkies April/May Newsletter and the Technique Newsprint Reveal technique. 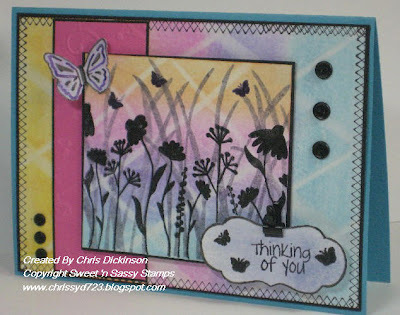 I also combined Splitcoast Stampers Color #213 and Sketch Challenges #223. 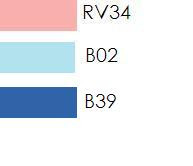 Have you participated in the Belli Challenges yet? Check them out HERE. IT'S WEDNESDAY! DOUBLE CHALLENGE DAY!!! It is BELLI CHALLENGE DAY! I know I have said this a few Wednesdays in a row now - but did you know we moved to a new BLOG and changed the name? Please join the fun at http://www.bellichallenge.blogspot.com/! This week's Belli Challenge was to use your Cello Bags...I was all set had this project set up and realized that this uses the clear envelopes. I am back with the tutorial. I was all prepared to share it here this morning, but then got a wave of nausea, so I went back to bed. Are you an American Idol fan? I tend to record everything, but then my DVR cut off the show early...ARGH! I missed my favorite! Adam Lambert! But thankfully due to modern technology I found it here - check it out! 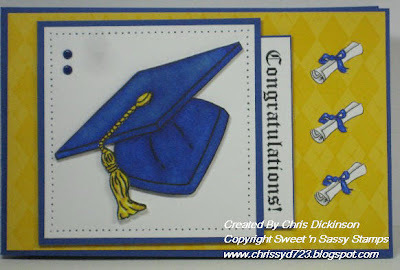 I created this little booklet with my new Digi-print Graduation set that is available at Sweet 'n Sassy Stamps. When you participate in the Belli Challenge this week, you can win this Digi stamp!!! Covers: One piece of cardstock cut into TWO pieces measuring 4 3/4" x 8 1/2". Score each cover piece at 1". Fold completing crease with the bone folder. 2. Stick the Clear Envelope stack on top of one of the folded flaps of one of the cover cardstock pieces. 4. 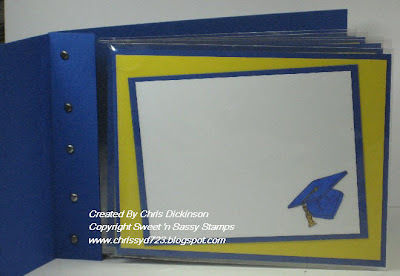 Attach binding cardstock piece using Sticky Strip, around the folded ends of the Album. 5. 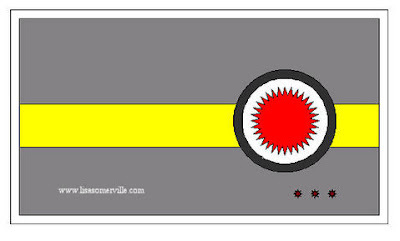 Decorate your cover as you wish. Here is the fabulous Design Team links - go check them out and let them WOW you!!! I will post the tutorial for this by lunchtime today! Now onto the Bloggers Challenge! This week, Tootles & Binks is our Sponsor! When you participate be sure to link up with Mr. Linky for your chance to win! Be sure to check out Tootles & Binks website too! Be sure to head on over to the Colour Copic Challenge Group for more information and to see MORE TOOTLES & BINKS! VERY CUTE STAMPS and SO Fun to color! Visit the Design Teams Blog for more inspiration with these colors! I'll be back in awhile! Have a fabulous day! If you want your coloring to look authentic or realistic, you want the direction of your art to be consistent throughout your entire project that you are creating. Sometimes, the stamped images will show you lines with the shading done already, but other times the stamp will not include the shading so you cdan have a bit more flexibility in your coloring. You may want to get a lamp that you can change angles and choose a still life object to play around with your light direction and shadows. Remember when you were young and you would try to hide from your shadow or jump on it? (Or was I the only weird one? LOL) It typically would move around depending on the time of day or where you were standing. 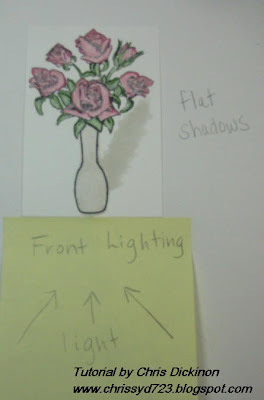 The following notes will help you in directing your shadows when you color. 1. Overhead Lighting – This is when your light hits your objects from over head. When outdoors, over head lighting happens around mid-day. Your shadows will be small and directly underneath your stamped images. 2. Frontal Lighting – This lighting occurs when the light is in front of your stamped image. There is a lot of contrast between your objects and tends to flatten them, eliminating fine detail. 3. 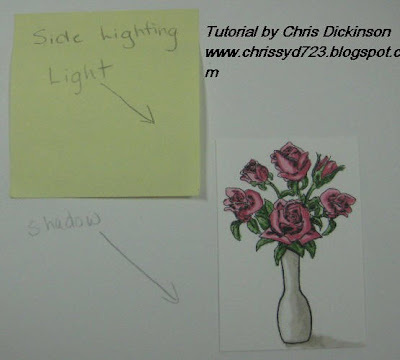 Side Lighting – This lighting occurs when the light hits your stamped image from one side. When outdoors, side lighting will happen in early morning or early evening. 4. Back Lighting – This lighting occurs when your light is directly behind an object. It will create a dark silouette. 5. 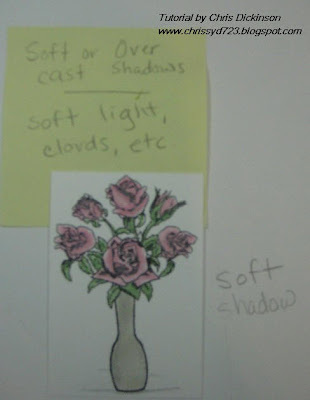 Soft or Overcast Shadows – This lighting happens when you want your artwork to look like the lighting is filtered, smoke, pollution, clouds, etc. There will be softer shadows and colors and there will be very small contrast in the shading. These tutorials take extra time and I want to make sure they are helpful to you and worth the time! Please let me know - good or bad I can take it! Good morning! 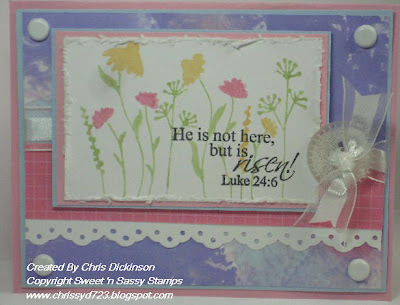 I am happy to share this week's challenge with you...Create a card using an EASTER THEME! 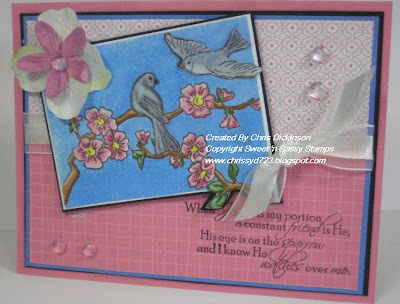 I honestly made one card and realized after that it was more Spring than Easter...and by that time, I was all out of OOMPH and didn't feel like stamping anymore but wanted to complete this challenge... 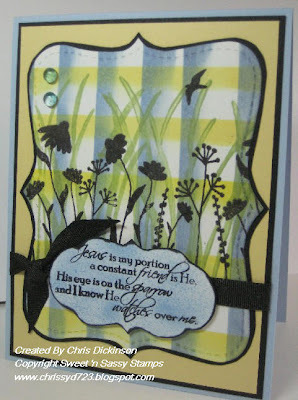 I hopped over to the OCC Blog and saw Silke Ledlow's card. WOW!!! Is it gorgeous - head on over and check it out. I ended up CASING it and changing the stamps. I also used a Technique Junkies technique -Pigment Scrunch. As always you are welcome to use any stamps for our challenge, although it thrills us to see you using your SNSS stamps :).When uploading to SCS & PCP galleries use keyword SNSMC19. HAPPY FRIDAY! We hope you will join us tonight for the Release Party! Here is the link to the forum for the Release Party from 9pm-11pm EST! Hope to see you there! Be sure to join us for the HOP! You will also want to check out the other Design Team members for their BEAUTIFUL projects for the BLOG HOP! and back on the SNSS Blog to wrap it up! Now something to make you SMILE! Yesterday, I was sitting in my office doing some stamping and my 4 year old daughter, came into my office holding something behind her back. She said, "I found candy in a room." I said, "what kind of candy?" She said, "Special Candy that is very yummy!" I said, " Show Mommy, the special candy!" I hope to see you at the Release Party tonight! Have a FABULOUS DAY!!!!! DAY TWO of BLOG HOP!